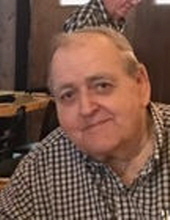 Celebrating the life of John F. Sheehan, Jr.
Obituary for John F. Sheehan, Jr.
John F. Sheehan, Jr., age 78, passed away Friday, November 16, 2018 at St. Elizabeth’s Medical Center in Boston. He was the son of the late John F. Sheehan, Sr. and Florence V. Sheehan. John was born on May 14, 1939 in Brookline. He was a graduate of Malden Catholic High School and attended Boston College. He proudly served his country as a US Navy Seabee and was employed as a truck driver in the Teamsters Union for Plymouth Rock, and later the US Postal Service for 40 years. John enjoyed taking bus trip to various locations and was a former member of the Foxborough Planning Board. Beloved father of John F. Sheehan, III of Brighton and the late Nicholas P. Sheehan. Loving step father of Doug Capute and his wife Terry of Lancaster and the late Jeff Capute and Russell Capute. Brother of Joseph and his wife Patricia Sheehan of Malden. Relatives and friends are kindly invited to attend calling hours on Tuesday, November 27 from 4 to 7 PM at the Roberts and Sons Funeral Home, 30 South Street, Foxborough. For additional information please contact 508 543-5471. To send an on line condolence please visit the funeral home web site at www.robertsandsosnfuneralhome.com. In lieu of flowers, donations in John’s memory may be made to the Wounded Warrior Project, PO Box 758517, Topeka, KS 6675-8517. "Email Address" would like to share the life celebration of John F. Sheehan, Jr.. Click on the "link" to go to share a favorite memory or leave a condolence message for the family.